Days: Thursday. Event Types: Author Signings. Sectors: Author. Subjects: Middle Grade. 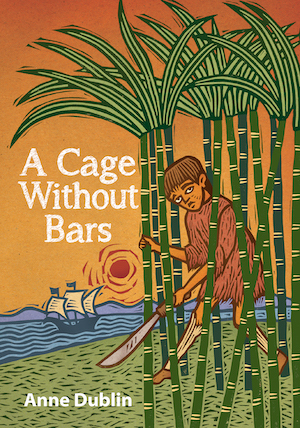 Anne Dublin, author of A Cage Without Bars, will be signing in the Ontario Book Publishers Pavilion on Thursday at 9:45 AM. The trials and adventures of 12-year-old Joseph Belifonte and his sister Gracia, exiled from Spain, then kidnapped along with hundreds of other Jewish children to be shipped to the island of São Tomé, off the coast of West Africa, where they become slaves on a sugarcane plantation. Based in history.